The cruise M100/2 is a training/research cruise. 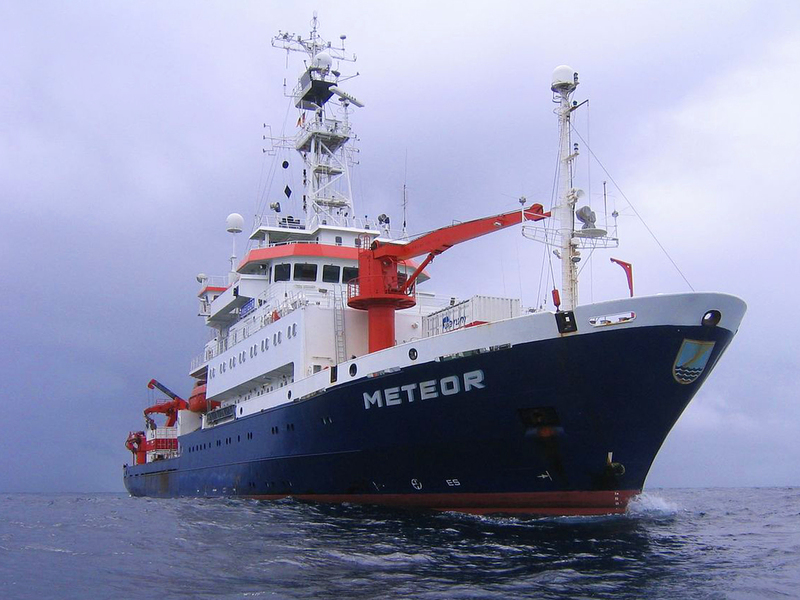 The research focuses on the study of transport processes between the Indian Ocean and the South Atlantic as well as the associated changes of the pelagic system and the trace gas fluxes between ocean and atmosphere. As part of this scientific investigation and the associated use of advanced measurement techniques, a training and Capacity-Building program shall be conducted, aimed at young scientists from Germany and countries of southern Africa. In addition to the continous measurements on the long transit routes where one station per day is scheduled, the proposed work will focus on transects off Lüderitz, south of East London (South Africa) and Madagascar. Lüderitz is one of the core regions in the context of the SACUS and GENUS projects, while the transect off East London is directly related to the AGULHAS project. Together with the transect off the coast of Madagascar, contributions to international observation programs are provided in the context of CLIVAR. The methods used within these studies form the basis of the practically orientated education of the participating young scientists.